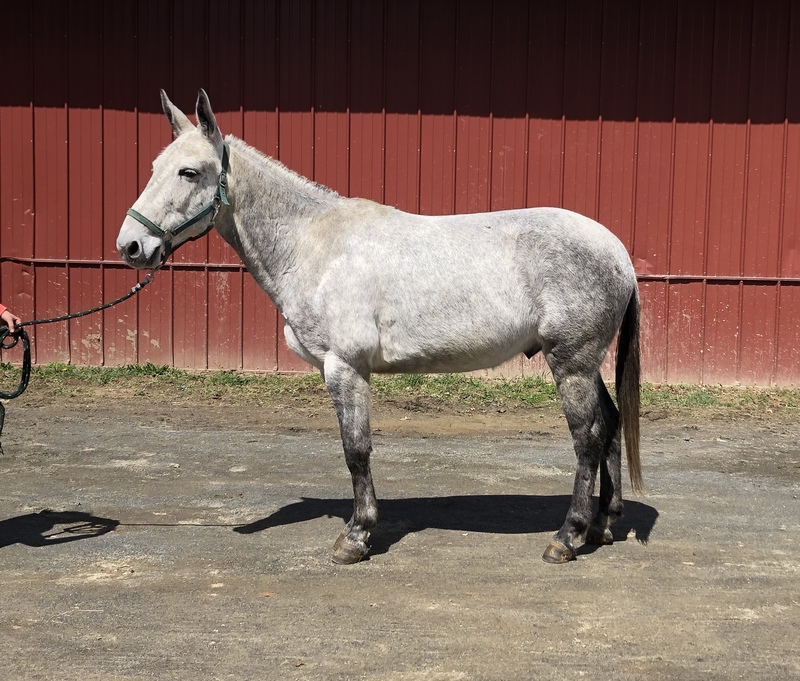 13 Grey Mule Gelding, 8yo, 15.0 hands, Sterling is One of a kind, super adorable, moves like a Warmblood, the disposition of Quarter Horse, a pleasure to ride in and out of the ring. Confident alone or in a group, happy to lead or follow Western or English, comfortable for an adult or child. trail ridden, Great with other horses, has gone through water and good in traffic. Good ground manners, easy to catch, lead, load, haul, clip, bathe, groom, pick feet, saddle, bridle, stands for mount and dismount, and perfect gentleman for the vet and farrier. Located in Granby, Connecticut. Please call 860-653-3275 for more information. Sells with a 3 week exchange guarantee, we take trades.